The war in Italy has been much under-rated. Churchill sold it as attacking the soft underbelly of the Axis, but there is more than a little evidence that he used the words as a sales pitch rather than as a genuine belief. On so many levels, the Italian campaign was entirely logical and necessary even though the Americans saw it differently. The author has written an absorbing account of the final campaign and provided insight and solid research. The illustrations are supportive with a good photo-plate section and appropriate maps. This is an important book about an important campaign. Recommended. DESCRIPTION: The war in Italy has been much under-rated. Churchill sold it as attacking the soft underbelly of the Axis, but there is more than a little evidence that he used the words as a sales pitch rather than as a genuine belief. On so many levels, the Italian campaign was entirely logical and necessary even though the Americans saw it differently. The author has written an absorbing account of the final campaign and provided insight and solid research. The illustrations are supportive with a good photo-plate section and appropriate maps. This is an important book about an important campaign. Recommended. When the Allies defeated the remnants of the Afrika Korps and took total control of North Africa, there was a natural question about where to go from there. By taking North Africa, the Allies had protected the vital Suez Canal, providing a secure route on to the Far East, and, at the same time, had made the Mediterranean an Allied Lake. The Axis may still have occupied all of southern Europe, but they were seriously limited by Allied naval and air supremacy in the Mediterranean. The Americans took the view that all efforts be concentrated on the Normandy landings in the following year, some citing the naval supremacy as all that was needed for southern Europe. However, Churchill knew that he needed something to take pressure off the Red Army to ensure it could move fully onto the offensive and cause the Germans to reduce troop strength in France to increase resources in holding back the Russians. An invasion of Sicily and then Italy would provide that support for the Russians and also further reduce German troop levels in France as the Germans sought to block an Allied land advance up through Italy, from where the Allies could go north east to link up with the Red Army and north west to drive into France and the German industrial areas. The invasion of Sicily and the landings in Italy did just that and Churchill may have been satisfied with what was achieved, but his critics would talk about the soft underbelly proving to be the tough old gut and suggest Italy was an expensive division of resources. 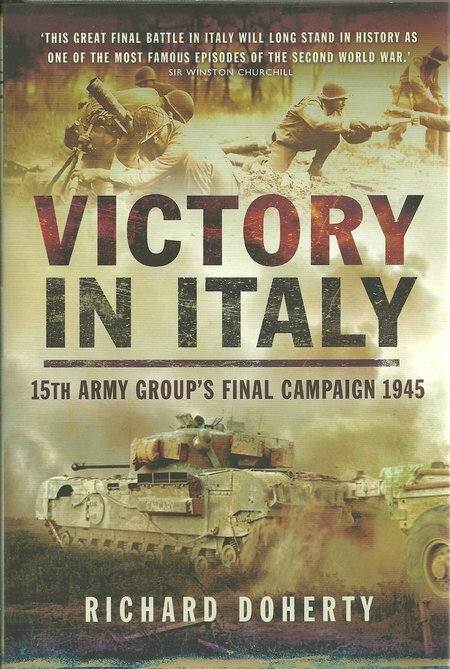 Certainly, the Allies faced a long hard slog up the Italian mainland, but there were great successes. The Italians sought peace and then alliance. That meant that almost all the forces facing the Allies would have to be Germans who were then denied to the Eastern Front and to France. Valuable fuel and ammunition had to be shipped south by the Germans from what were already shrinking supplies. That weakened the Germans armies in the East and not only took pressure off the Russians, but also enabled Soviet troops to maintain their advances at a faster pace. When D-Day arrived, the Italian campaign still had a distance to go, what little interest it had attracted was displaced by the attention the Allied forces in France took.